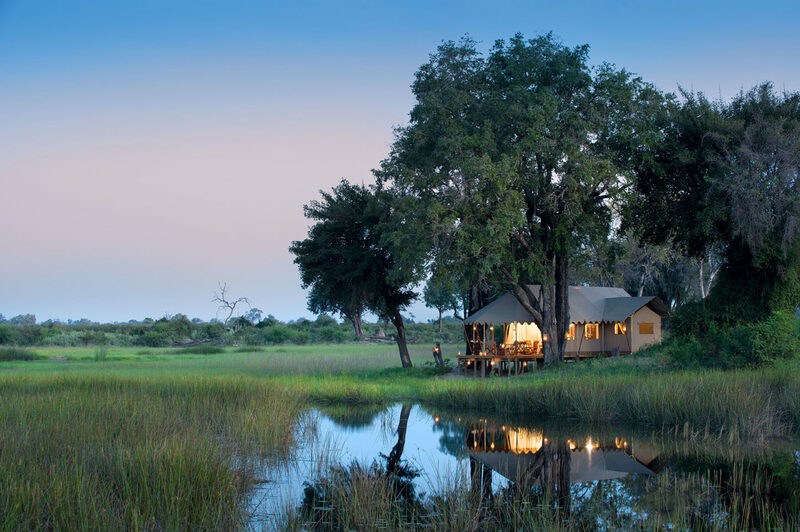 A private, 77,000-acre reserve in the Okavango Delta of Botswana, Duba Explorers Camp captures Africa’s “ Call of the Wild.” National Geographic filmmakers and Great Plains Conservation co-founders Beverly and Dereck Joubert have created a special place where just 10 guests at a time can experience a safari of a lifetime, while sleeping in one of five luxury, 1920’s campaign-style tents under the stars. 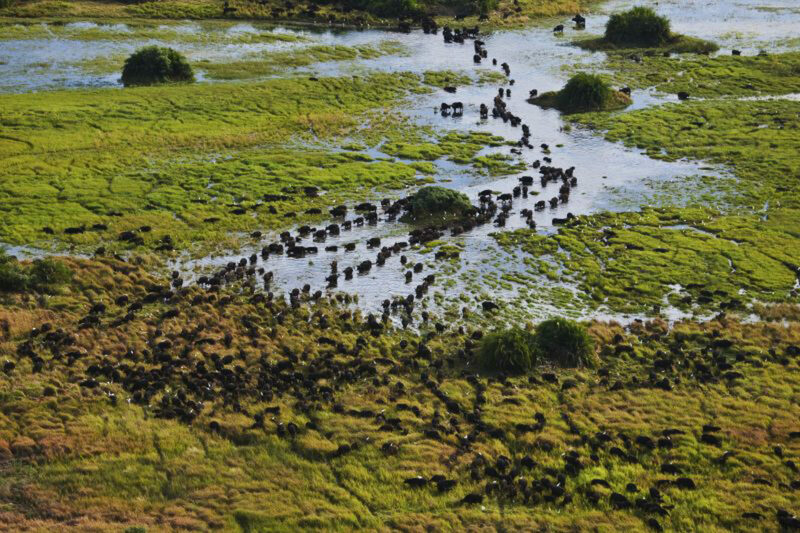 Buffalo and lion can be seen both day and night, on land and in water, as well as elephants, red lechwe, impala, kudu and abundant birdlife. 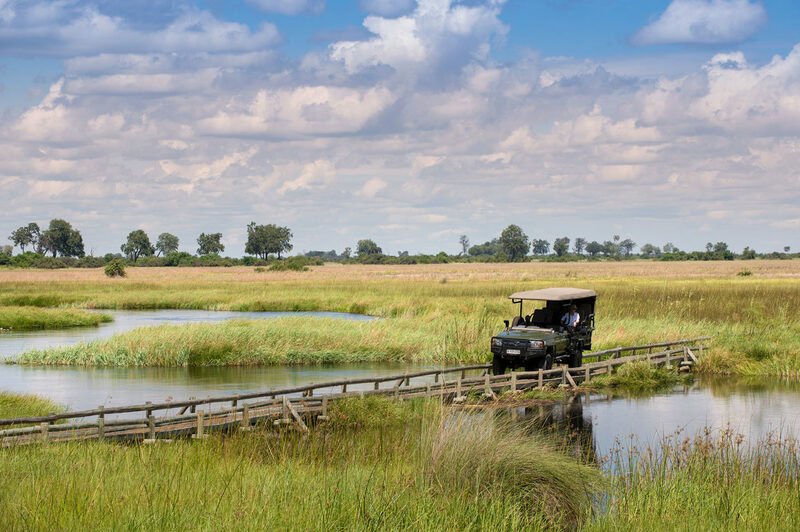 Guests may be are also transported along the channels of the Okavango Delta by motorboat in search of aquatic species and birds, including Pel’s fishing owl and wattled crane. 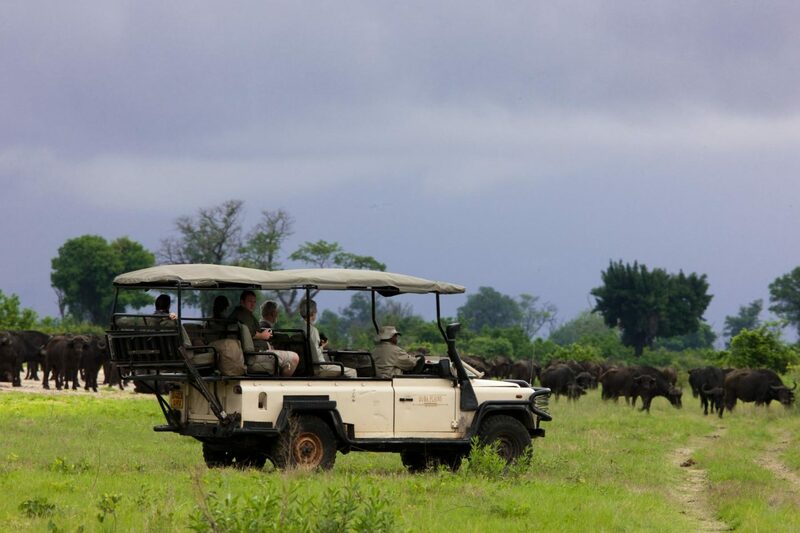 Duba Explorers Camp is dedicated to the conservation and expansion of surrounding natural habitats. 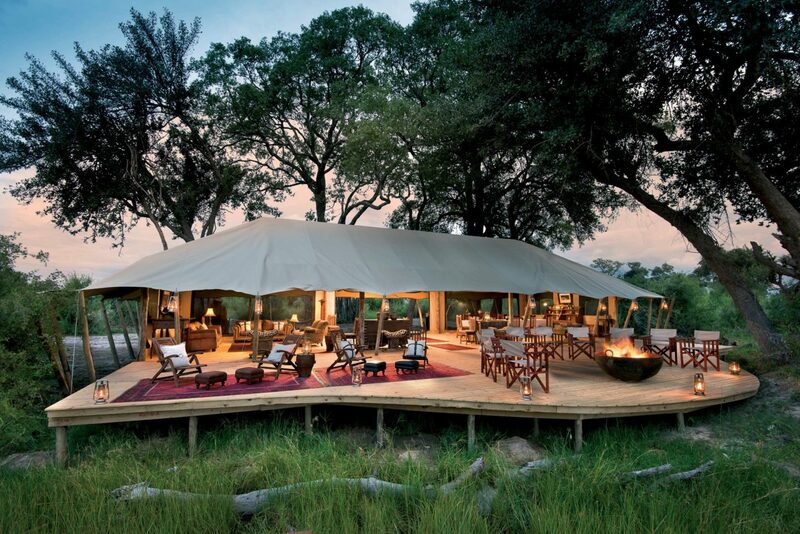 The five tent Duba Explorers Camp is a wildlife connoisseur’s getaway. Built on a wooded island, overlooking a lagoon, and connected to the prolific wildlife area by an elaborate set of bridges, the area is the base of many famous wildlife documentaries by National Geographic Filmmakers and Explorers, Dereck and Beverly Joubert. A maximum of 10 guests sharing in five tented rooms, plus an additional guide’s tent as required. Children from 8 years old are welcome. Duba Explorers Camp’s (category B) airfield whose co-ordinates are 18°57’28.97″S 22°40’27.36″E. 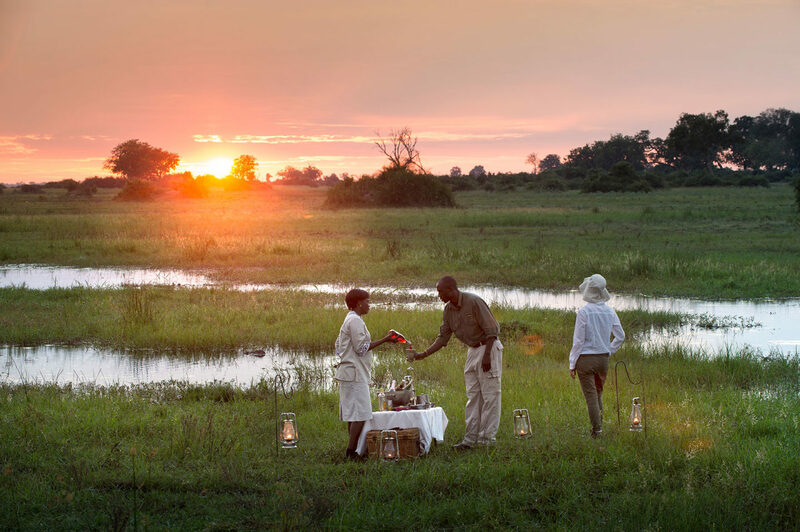 Duba Expedition Camp is located in 77,000-acre Duba Plains Reserve in northern Botswana’s Okavango Delta.